Here is what I have been working on for a long time. I have had this project in progress since last November. I know we all have projects snoozing around. But I usually have only one or two projects (I know I am kinda crazy like that). Unfinished projects drive me crazy and I have to get them done as soon as possible or if I don’t like it, it has to be frogged. This one was awesome but I had quite a few colors to work with. So it took me a while to get the colors together and get a chart so I knew which one went where. I really like how it turned out. It was worth the wait. 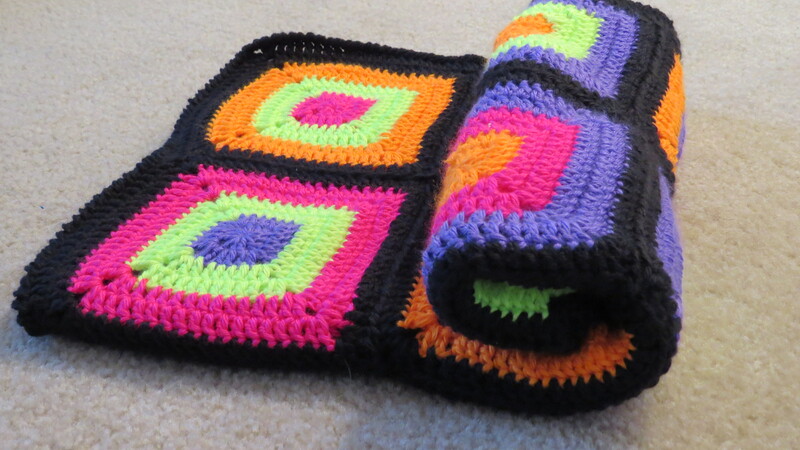 This blanket is for a dear friend and she got the yarn and colors and I have to say it was awesome. The yarn is 100% wool and the colors are really nice and go well together. Here is the link to the pattern. I really enjoyed working on this pattern (with this yarn, it was a really nice winter project). The blanket is soft and warm and thick. This blanket is now going home as a gift to her. Hope she likes it. 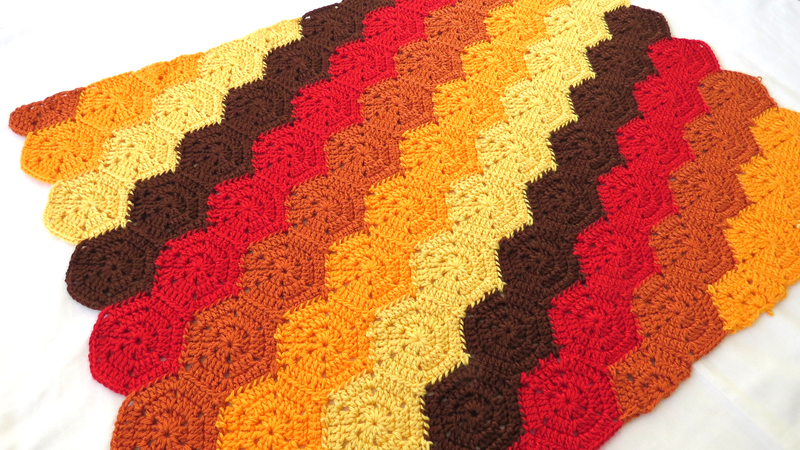 Update: At the end of this post you will find step by step instructions for this blanket. After a short but eventful break, I am back to the world of knitting and crochet. I always carry my knitting during drives whether it is 30 mins or 9 hours. Since I have been traveling, I carried a knitting project with me for the flight and they proved to be good company. After a lot of research turns out you CAN carry knitting on flights. 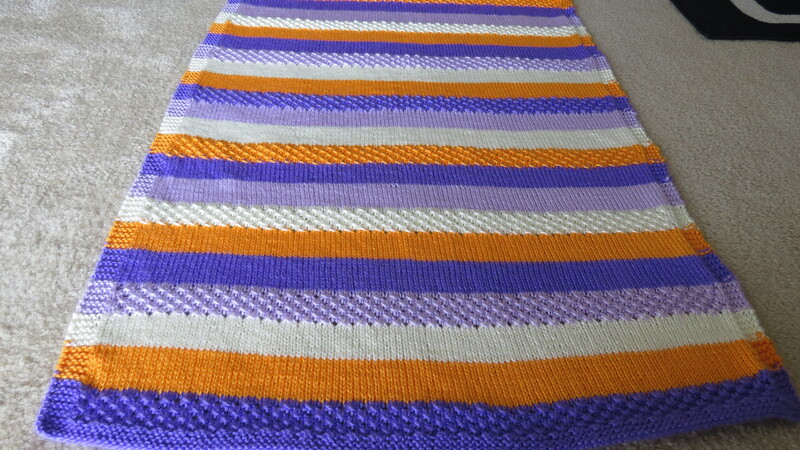 So this blanket was ideal as it didn’t have too many colors or too much pattern. The pattern is easily memorizable and does not require constant attention. 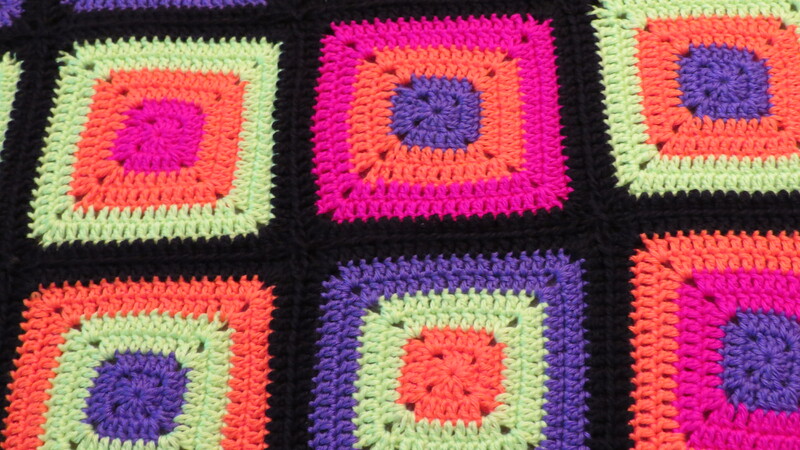 The pattern involves an open star stitch. It is a super easy stitch. R1: K2 *YO K3 (pass the first stitch of the last three over the other two). Repeat * across. R3: K1 *YO K3 (pass the first stitch of the last three over the other two). Repeat * across. I repeated this in the order of colors I wanted. you can basically use a color and also use random color combinations for this. I really like the texture that this stitch gives and stockinette balances it really well. Caron simply soft yarn in the colors of grape, orchid, mango and off-white. Edging. 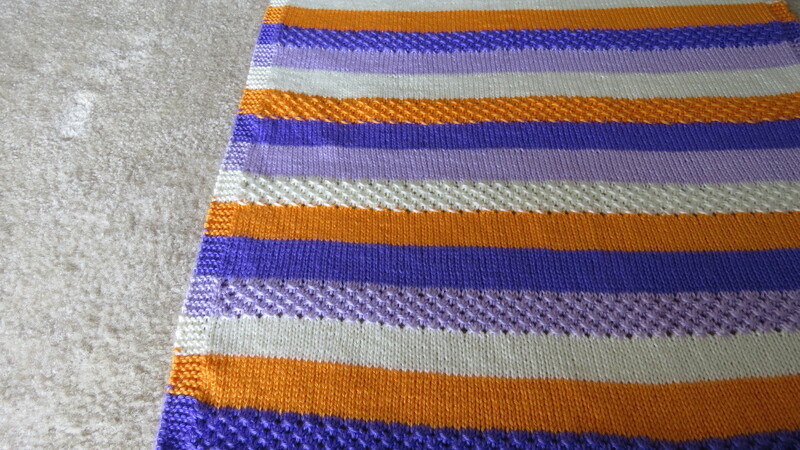 I gave a garter stitch edging of 5 sts. Have you ever knitting while traveling? share your stories with me. 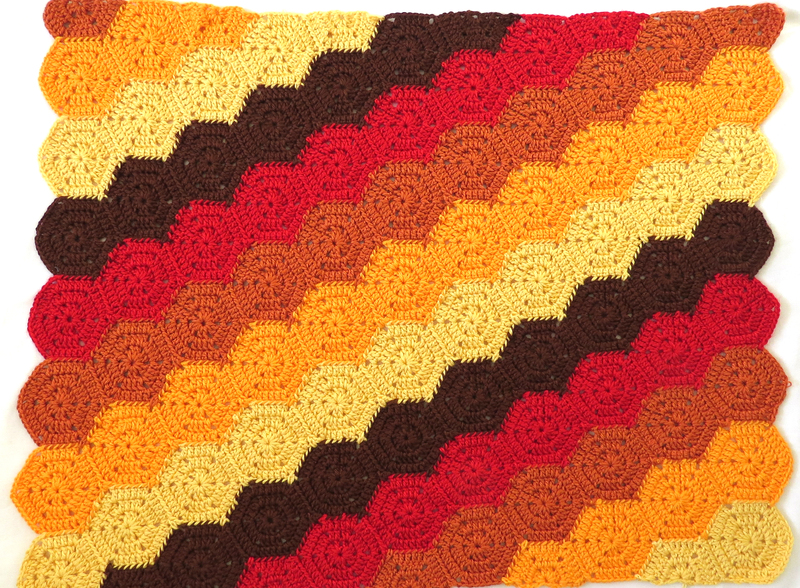 Yarn colors: Any number of colors can be used for this pattern. 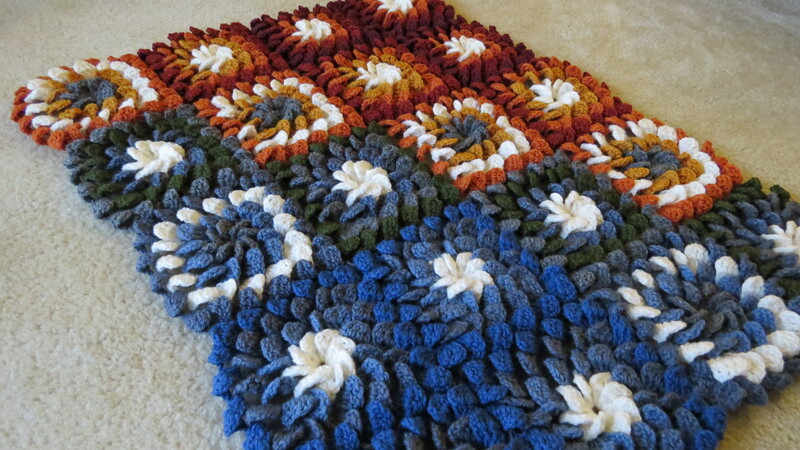 you can also use up your scarp yarn for this. 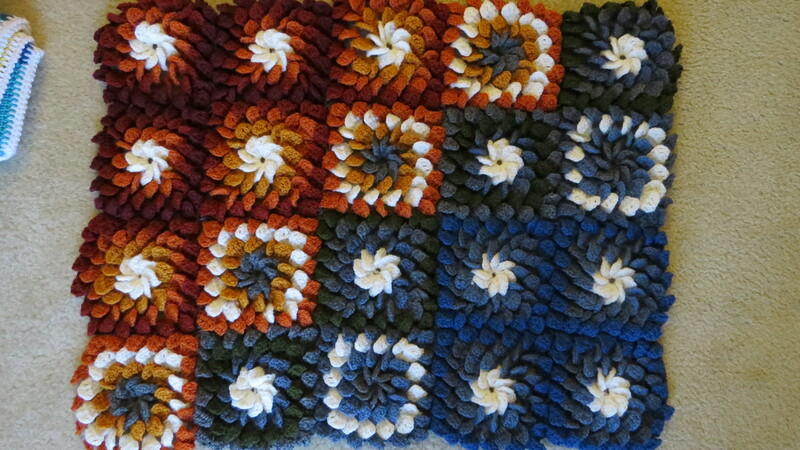 Row 16: change color and K5— Purl—K5. 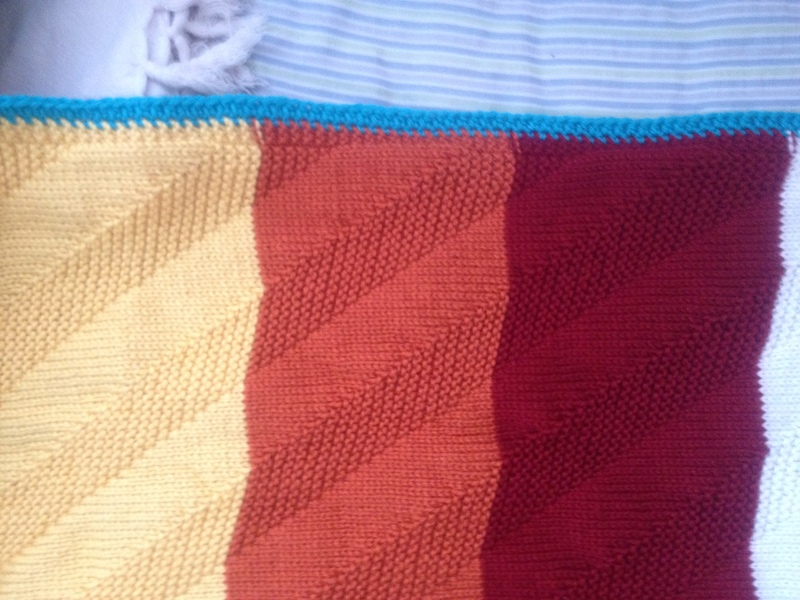 Row 26: change color and K5— Purl—K5. 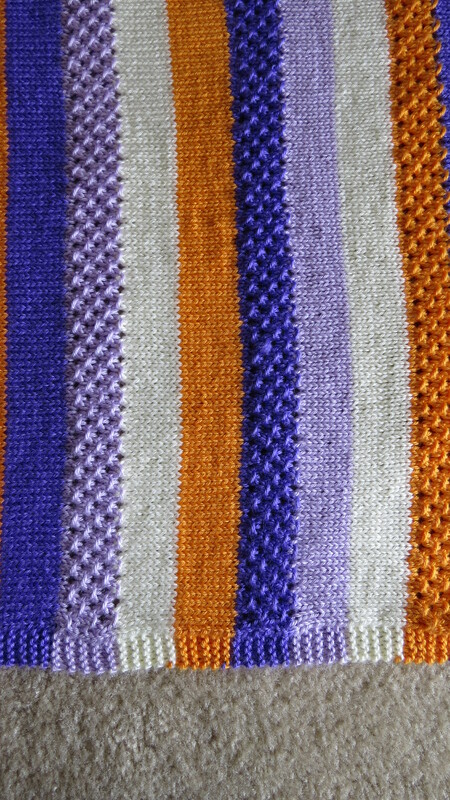 Row 28: change color and K5— Purl—K5. Garter stitch for 6 rows. Bind off and weave in all the tails. Hello People! Happy holidays to you. And hope you are having the most wonderful time of the year!! The best thing about this time of the year for me is gift of time to work on projects and traveling that you can do. Thankfully the winter hasn’t been too bad to hold us indoors all week. So I was able to make some progress in a couple of projects in the last few days. 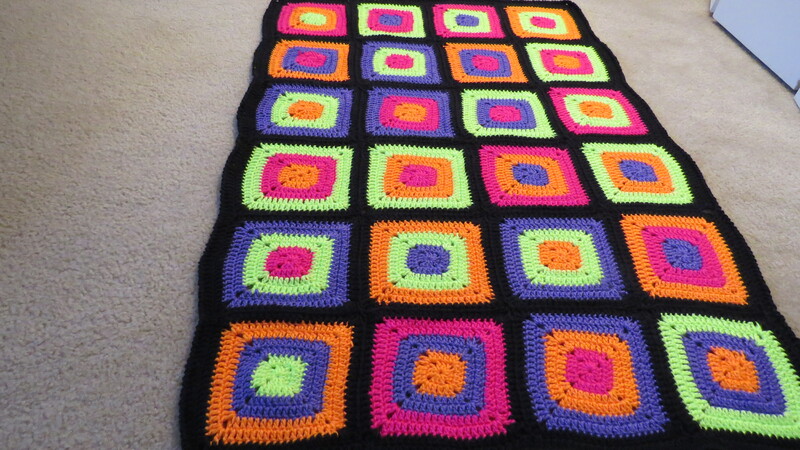 I got this amazing neon yarn on sale and have been loving working on them. 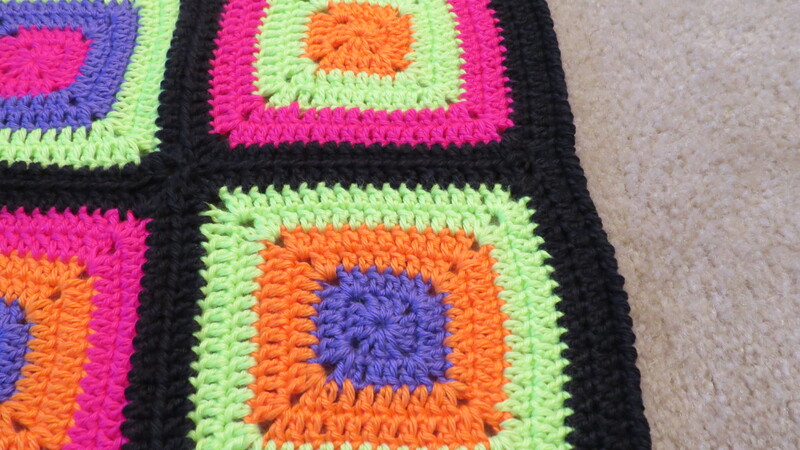 These bright hues are amazing to work in the night (except for joining, which i did in black). 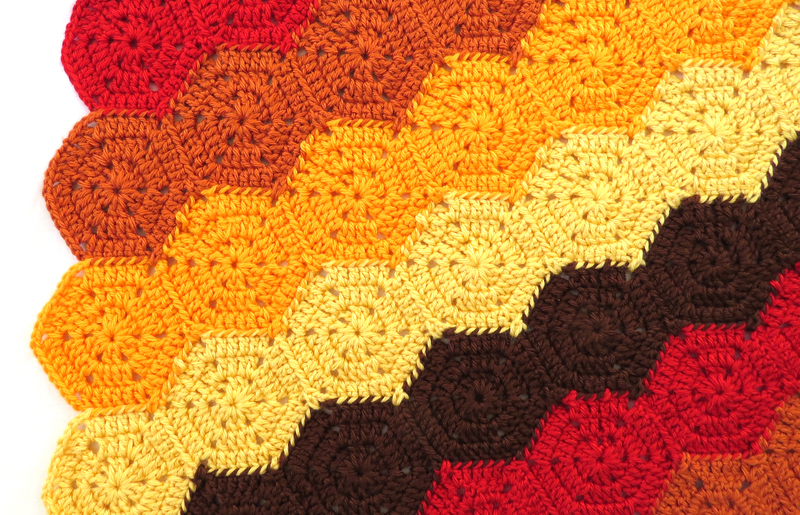 This pattern is great for beginner crochet, not only do you not have to count the stitches, but you can try different types of joining and colors. Here is the link for the pattern. 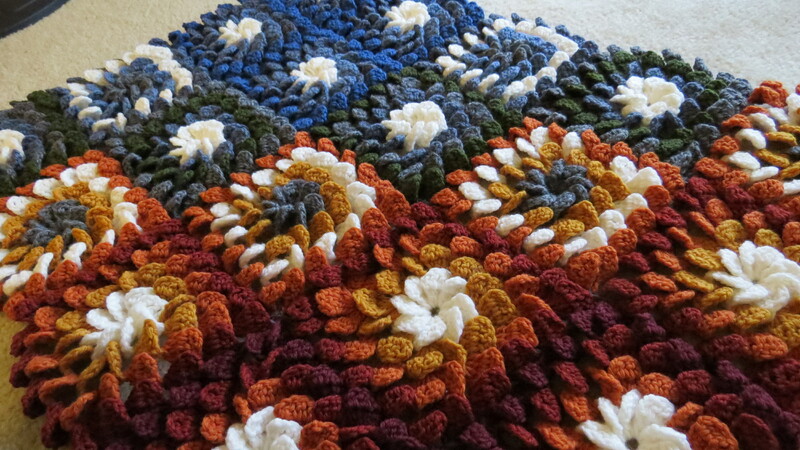 I have used this joining method in my earlier shaded circles blanket. They are joined by tight joining method but I went around with a double crochet in a continuous join-as-you-go method. 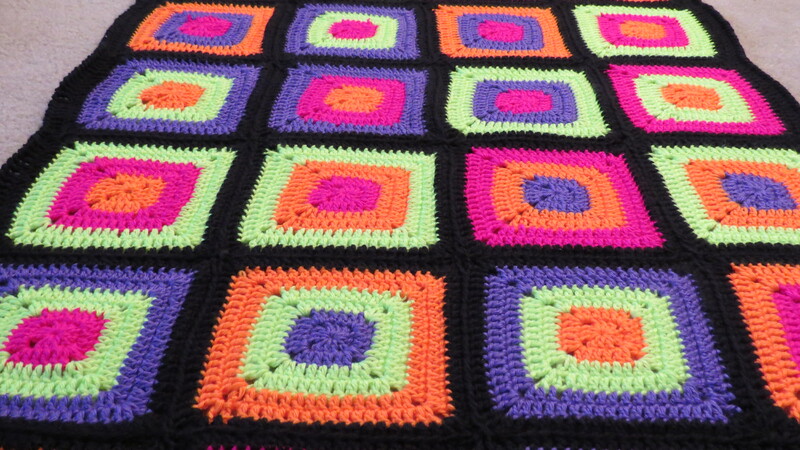 caron simply soft yarn – neon pink, neon yellow, neon coral and grape. Joining is with black yarn. Edging. I did one round of double crochet and one round of reverse single crochet for edging. Hope you have a great time with family and enjoy your holidays! Alright! 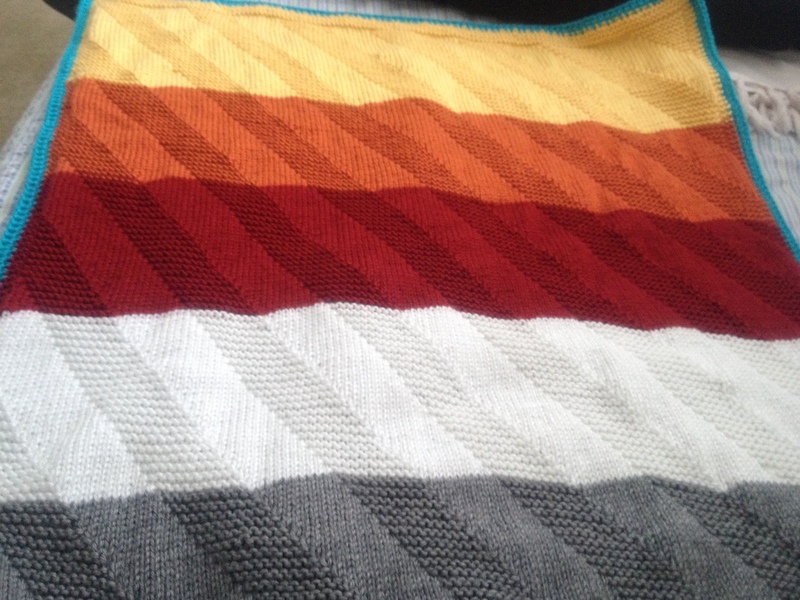 it seems like suddenly all I am doing is knitting these solid stripe blanket. This one is really special. 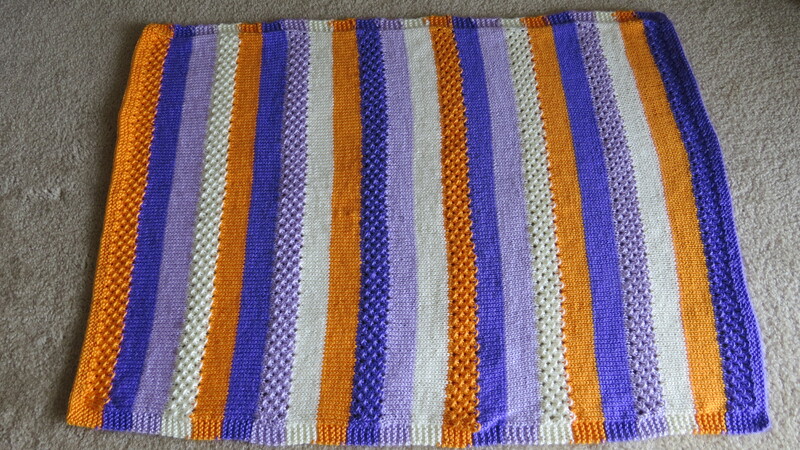 It is a custom order who wanted to make a blanket that goes well with the decor of the nursery. It is so much fun to try new colors for edging. As her nursery has a nautical theme, we decided to have a turquoise trim. I hope she likes it. Grey heather, White, Autumn red, Pumpkin and Sunshine. 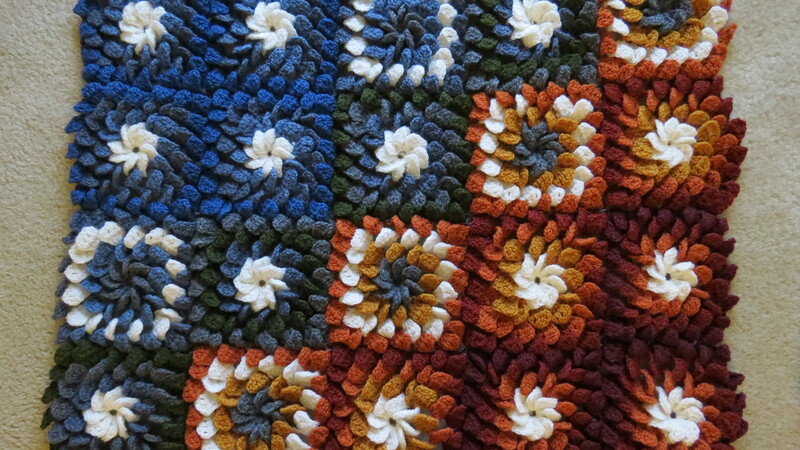 The edging is Blue mint to give it a nautical twist- One round of sc followed by one round of hdc. 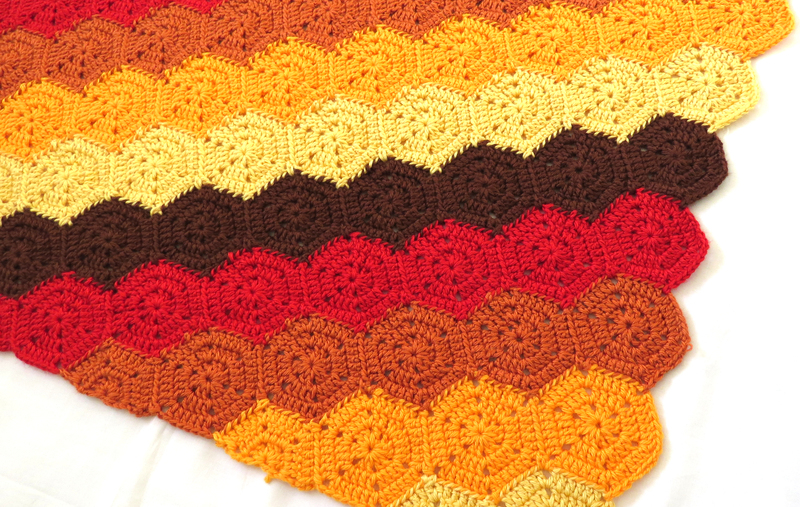 I have used this pattern before and you can find them here. and another version in spring colors is available on etsy here.